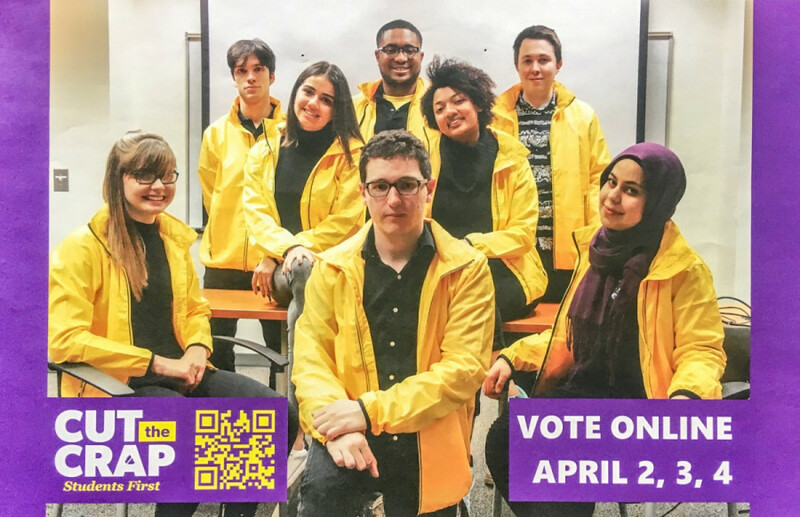 The Concordia Student Unions’ incoming executive team were caught campaigning during polling period during the 2019 general elections. The Chief Electoral Officer announced Friday afternoon that Cut The Crap’s entire slate have been disqualified. According to the CSU’s standing regulations candidates are prohibited from campaigning for their slate and encouraging students to vote during the polling period. CEO Florian Prual received evidence that a member of Cut the Crap incited Concordia students to vote for the whole team during polling period by contacting them on Facebook. “This shows a strong correlation with the election results, as all Cut the Crap candidates have been elected, with a rather striking difference in the number of votes,” according to the CEO’s Facebook post. Cut the Crap said they will not be speaking to the press in the meantime. Screenshots were made public by the CEO showing that finance coordinator candidate Danielle Vandolder-Beaudin messaged students individually, prompting them to vote in the full Cut the Crap slate. “Have you heard about any of the teams?” she asked in the messages. Vandolder-Beaudin also sent instructions on how to vote and a list of names of candidates to vote for. The CEO said that Vandolder-Beaudin is barred from running in any CSU elections for the next year. “In the event that a candidate who has been declared elected is disqualified from holding or taking office, the office is deemed to be vacant and shall be filled in accordance with the by-laws and these regulations,” he wrote.